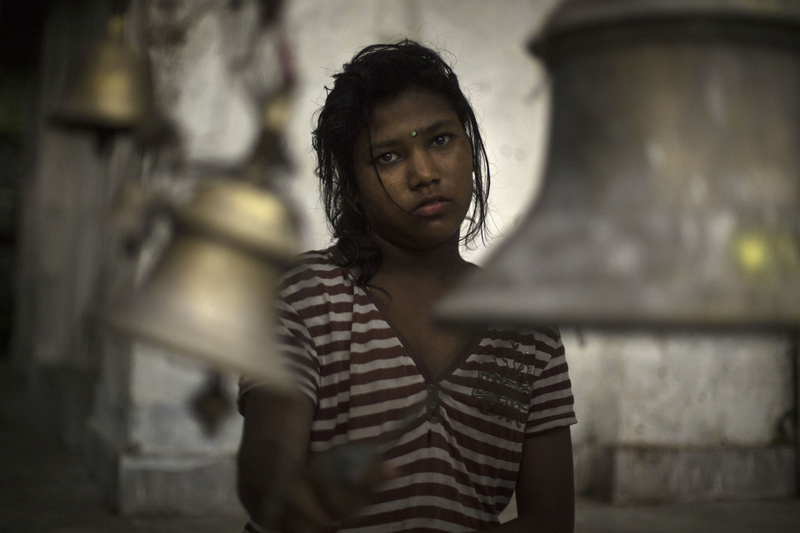 A young girl rings the bells at the Barah Chhetra Temple during worship in the village of Barah Chhetra. 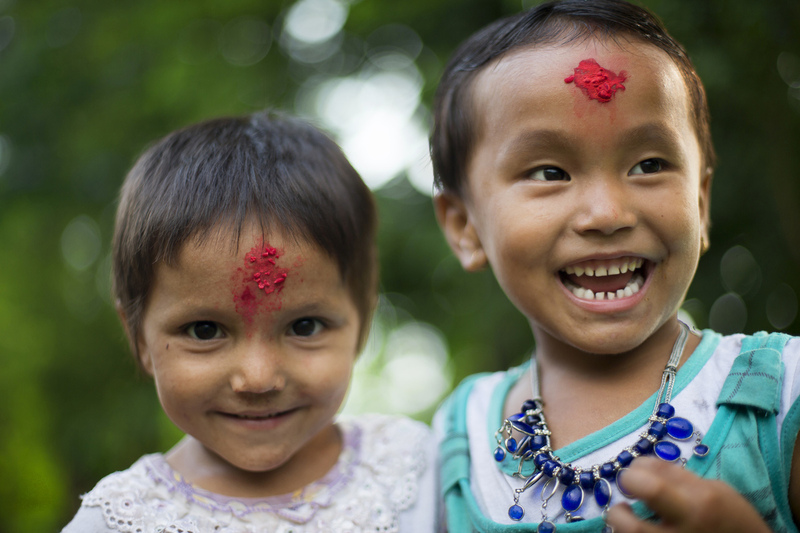 Nepal, 2013. 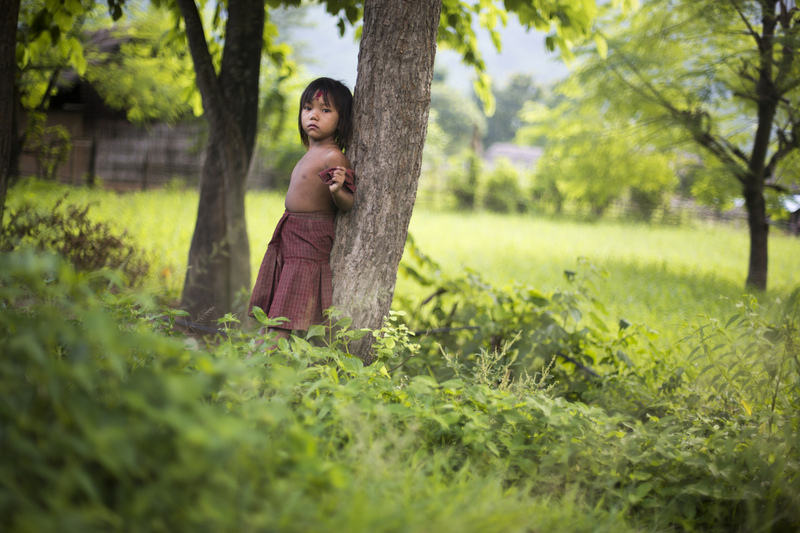 A young girl stands in a field in a remote mountainous village along the Sapta Kosi River. Nepal, 2013. 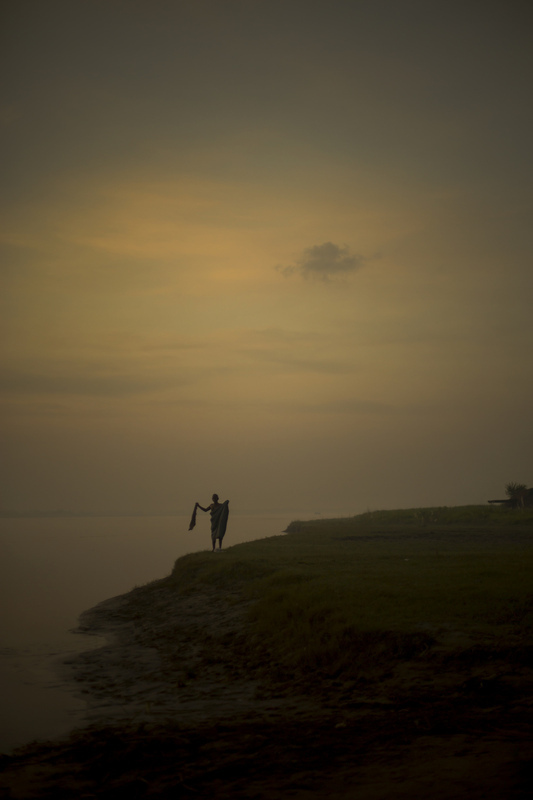 A man prepares to bathe on the banks of the Sapta Kosi River in Bihar, India. Nepal, 2013. 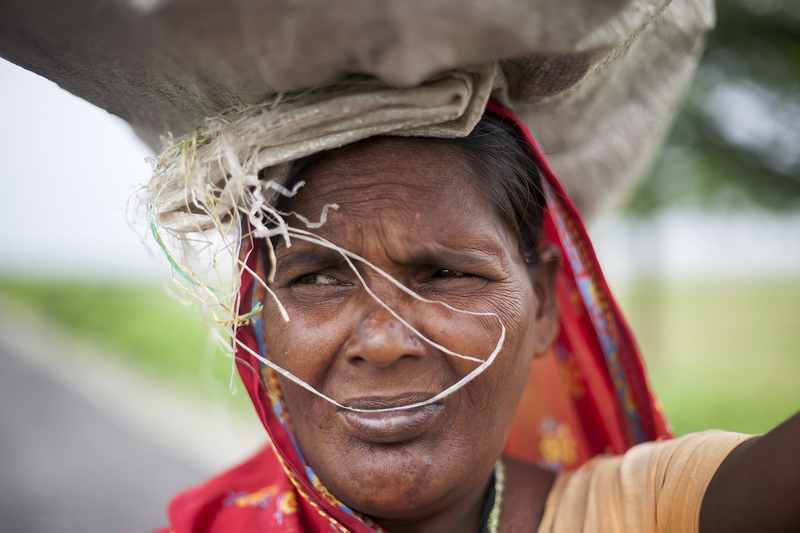 A woman carries a basket full of firewood along the Sapta Kosi River in Nepal. Nepal, 2013. 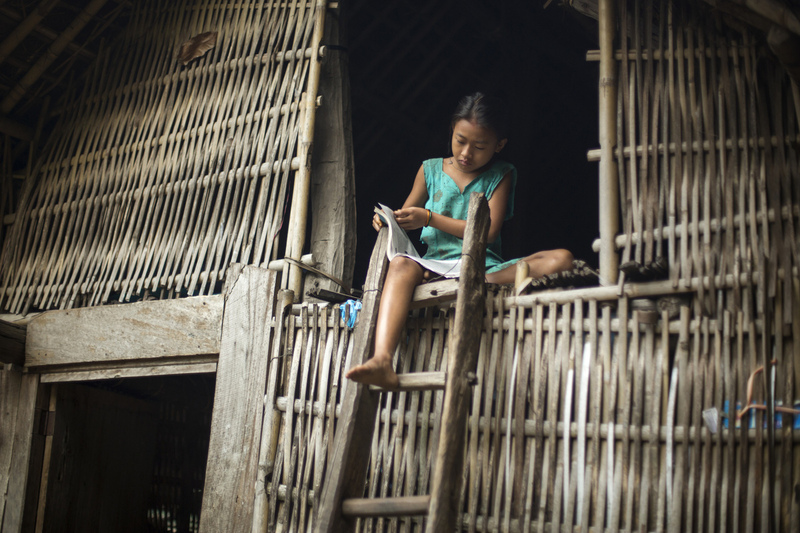 Anima Rai completes her homework before school at her home in Simli. Nepal, 2013. 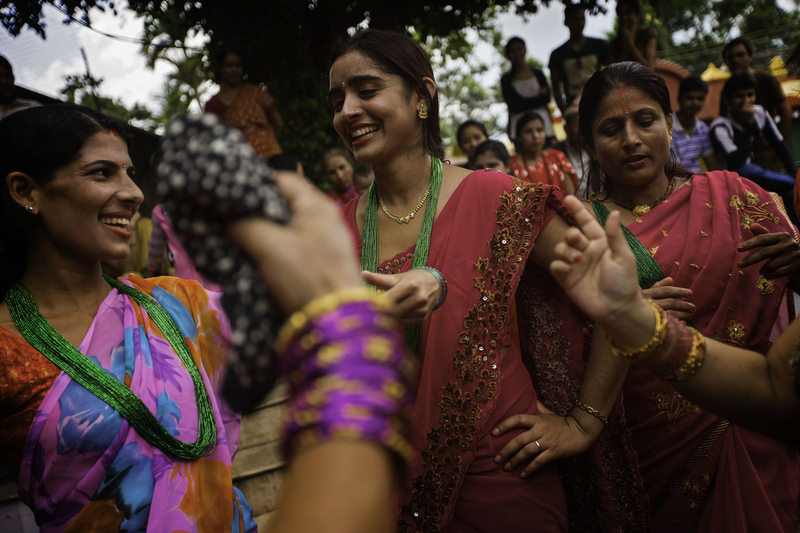 Young girls during a Teej festival in Tribeni. Consisting of about 12 houses and 50 people, Tribeni is similar to hundreds of villages that dot the hillside as you venture deep into these mountains. This is the region of the indigenous Rai. Nepal, 2013. 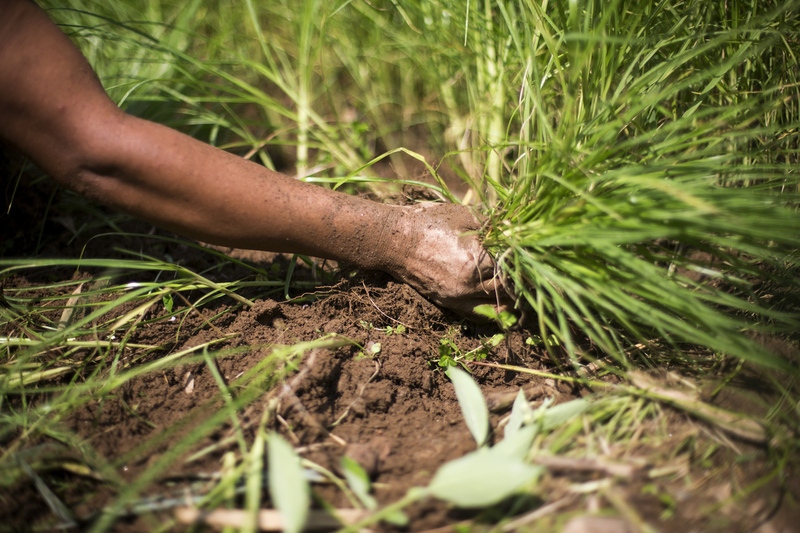 Santoshi Rai harvests millet on her farm in Tribeni. Nepal, 2013. A boy sits in a field in the mountain town of Simli, Nepal. Simli will be one of the first towns submerged by water if the high dam is built. Nepal, 2013. 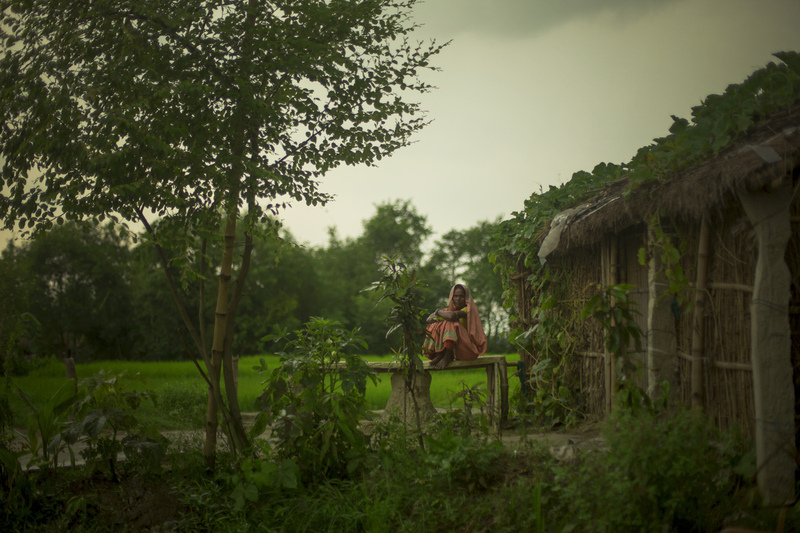 Waiting before a storm in the district of Saharsa, India. India, 2013. 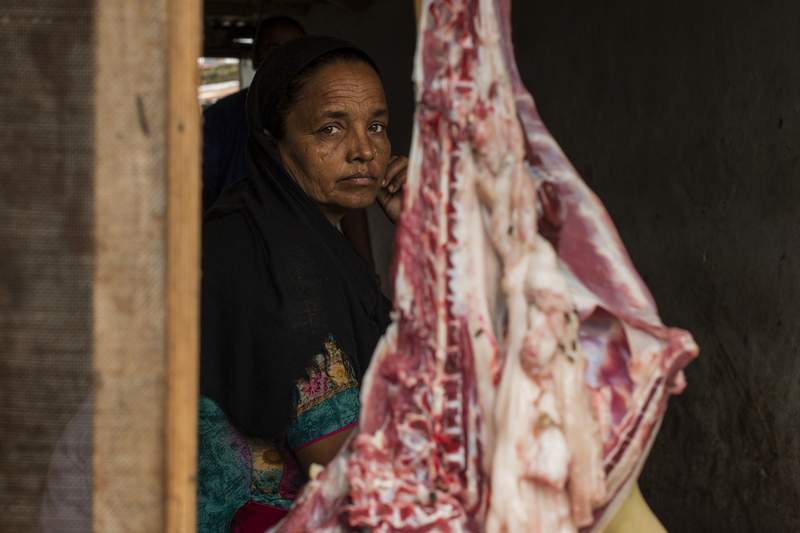 A woman sits in her family's meat shop in Biratnager. Nepal, 2013. 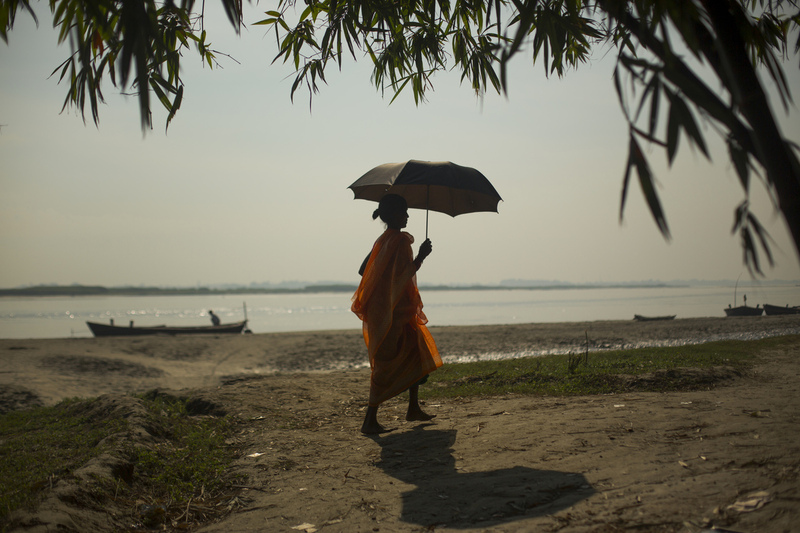 A woman walks along the Sapta Koshi River in the district of Saharsa, India. India, 2013. 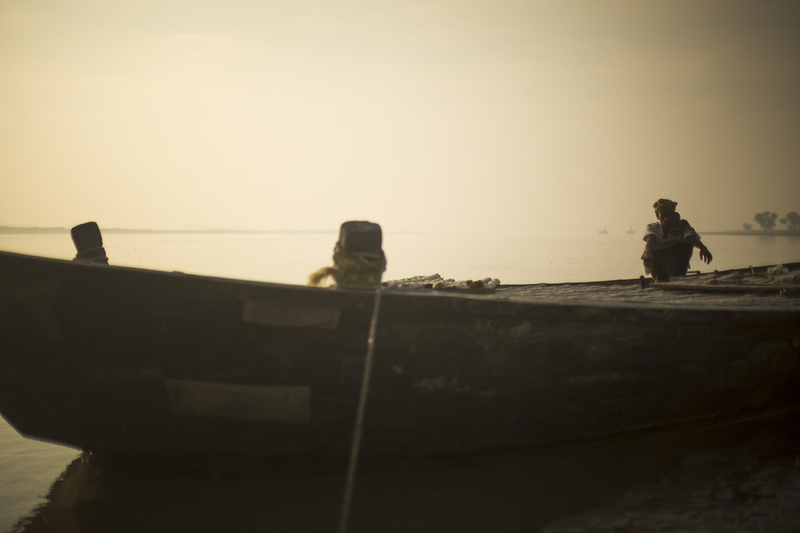 A ferry boat captain waits to cross the Sapta Koshi River in the district of Saharsa, India. India, 2013. 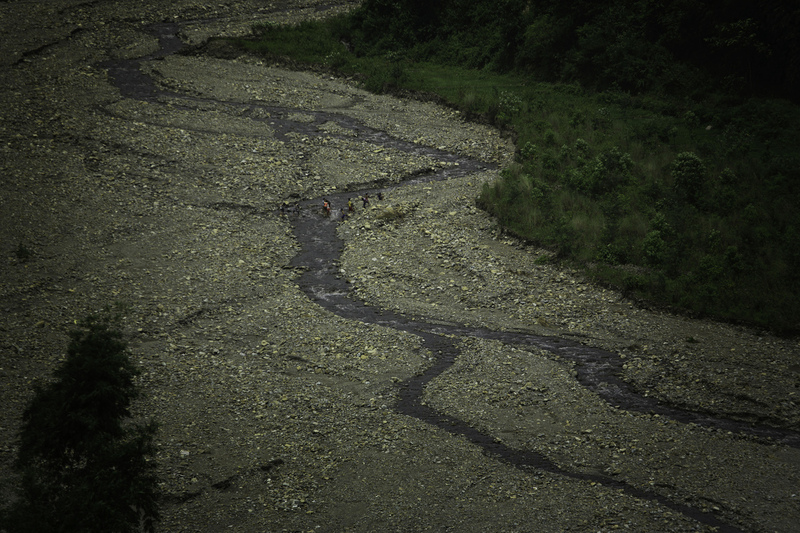 A group of Nepalese wade in the Sewti Khola River located in southeastern Nepal. Nepal, 2013. 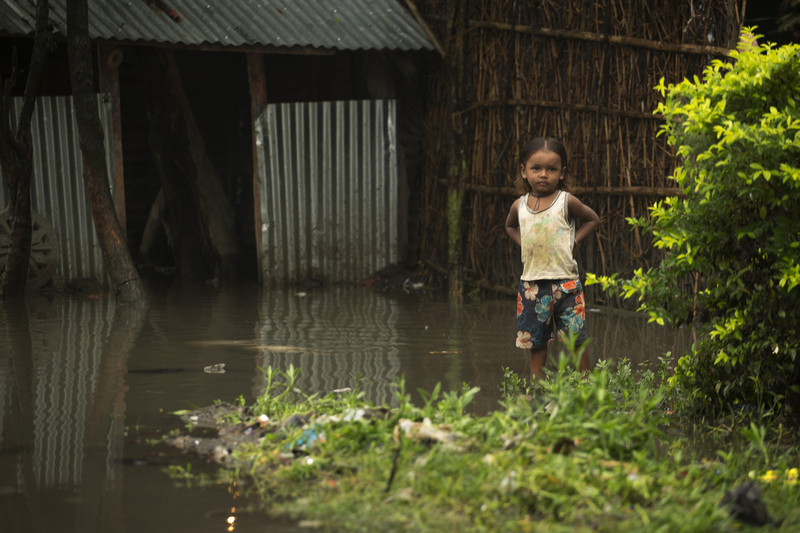 A young girl stands outside of her flooded home in Biratnagar. Nepal, 2013. 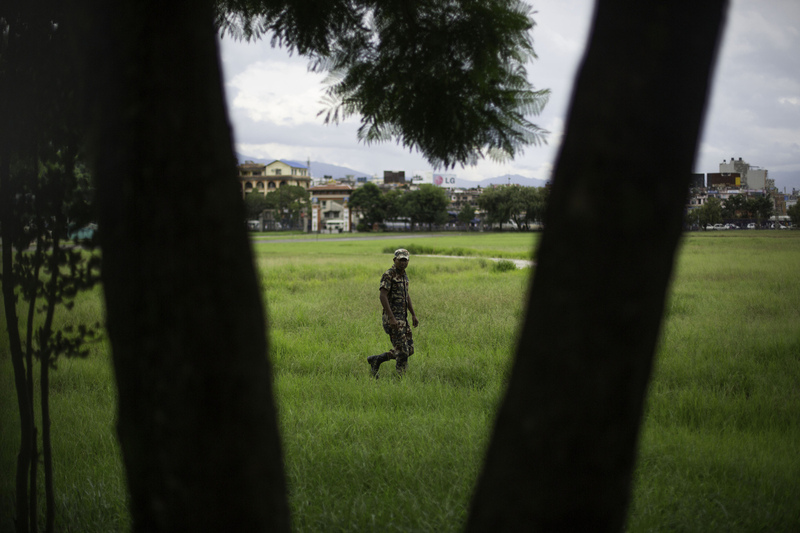 A military member walks grounds in Dubar Square. Nepal, 2013. 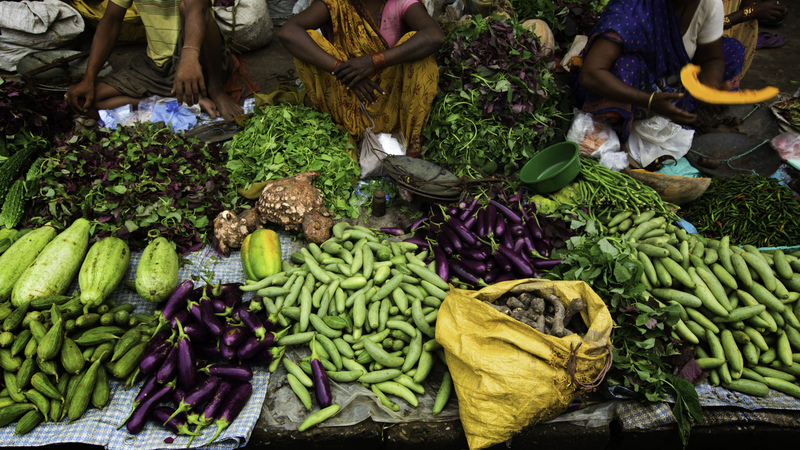 Merchants at an open market in Bratnagar. Nepal, 2013. 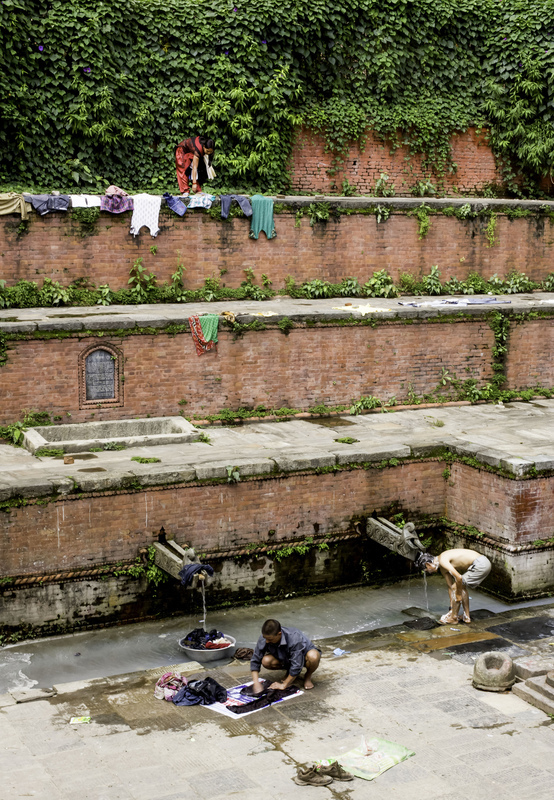 Locals wash their clothes and bodies in a dhara, a stone tap that streams ground water in Thamel. Nepal, 2013. 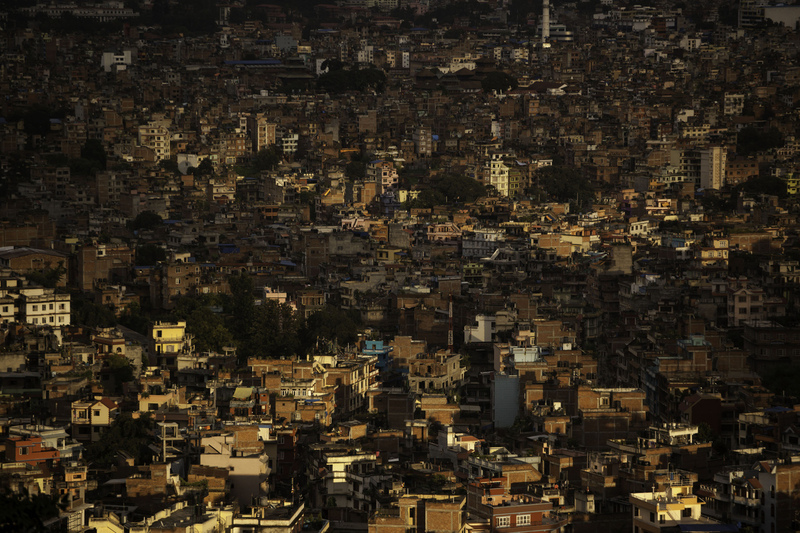 Kathmandu at sunset. Nepal, 2013. 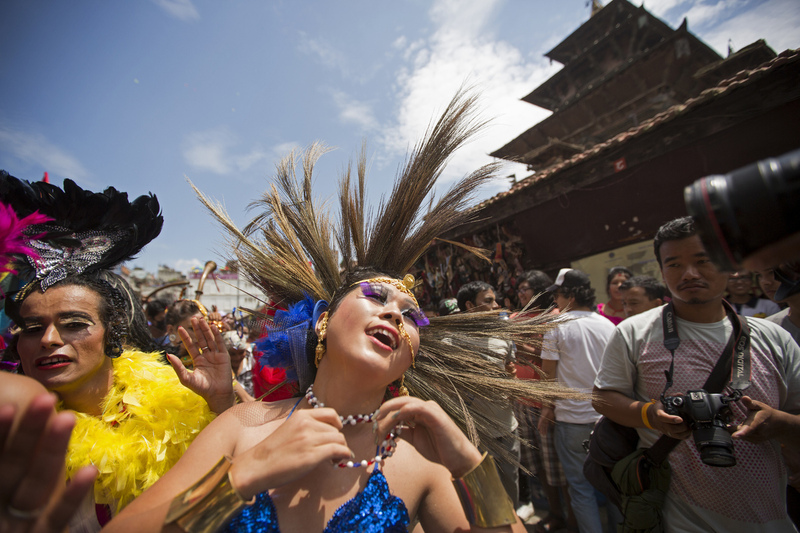 A participant dances in the streets of Thamel during a gay rights festival. Nepal, 2013. 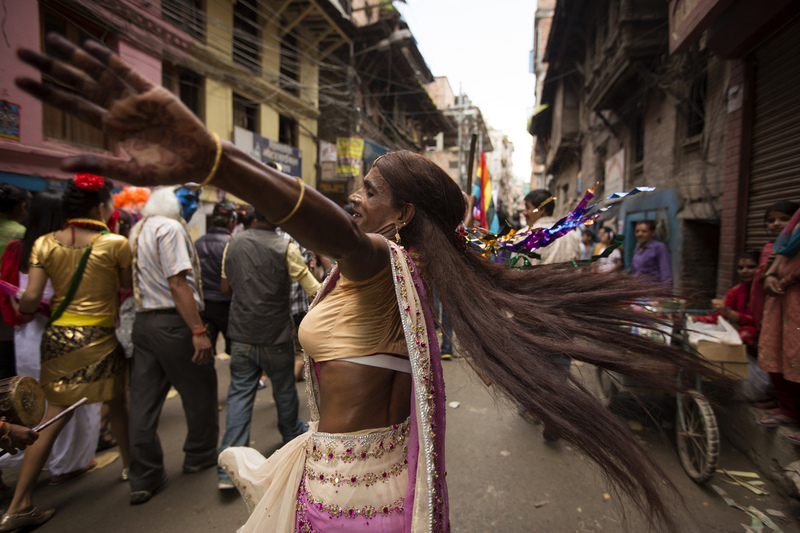 Dancing through Dubar Square during a gay rights festival. Nepal, 2013. 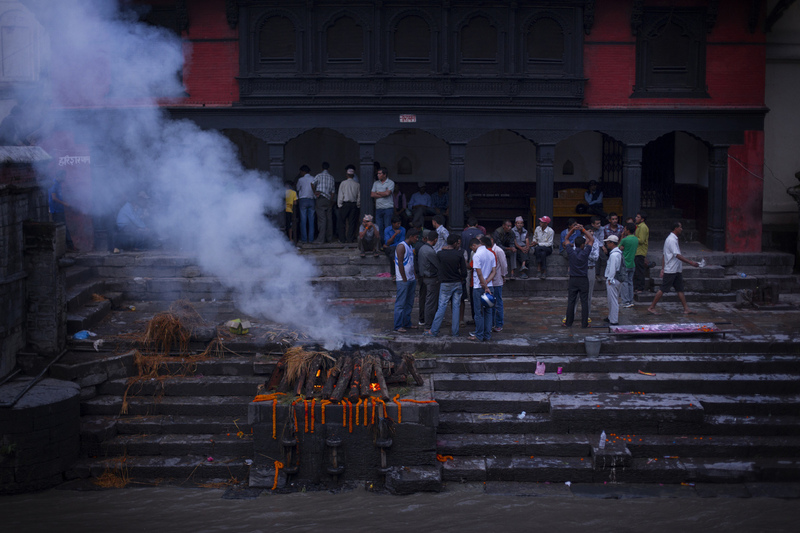 A funeral service at Pashupatinath Temple in Kathmandu. Nepal, 2013. 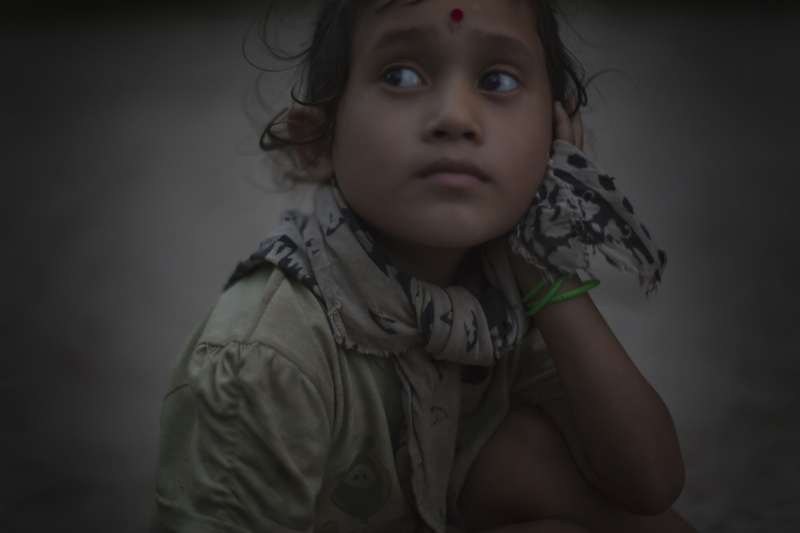 A young girl poses for a portrait at dusk in a remote mountain village near the Sapta Kosi River. Nepal, 2013.